THE STUNNING Ferrari F12 tdf will be on show at the Liqui-Moly Bathurst 12 Hour, joining the LaFerrari hypercar and a host of models representing the prancing horse at Australia’s international enduro next week. 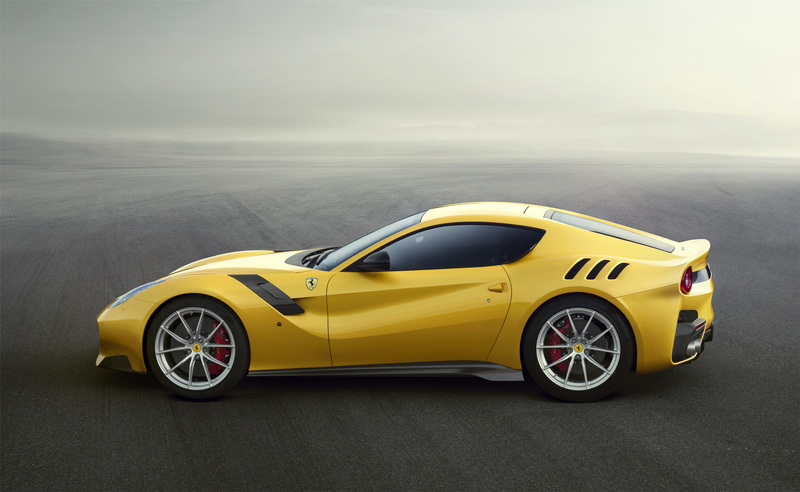 An evolution of the already remarkable F12, the tdf is powered by a 6.3-litre V12 that produces 769hp. A 7-speed gearbox translates that power to the ground and allows the car – that weighs just over 1415kg – to reach 100km/hr in 2.9 seconds. 200km/hr comes up in 7.1 seconds and the top speed is quoted as ‘over 211mph’. The remarkable car will be taking to Mount Panorama for demonstration laps across the weekend – and when it’s not on track it will be on display in the brand-new Manufacturers Walk area in Harris Park along with many of it’s contemporaries from the iconic brand. Ferrari confirmed on Monday that the LaFerrari would also be taking to the track, while a host of stunning road-going machinery would be on display as well. A host of Ferrari fans and customers are also expected to attend the weekend as they watch the Craig Lowndes / Jamie Whincup / Toni Vilander Maranello Motorsport Ferrari take to the track in an effort to win the brand a second B12hr title. To see more about what the F12tdf is all about, check out this awesome clip of Top Gear’s Chris Harris behind the wheel of one such example..
To see this car in action, book your Bathurst 12 Hour tickets online here.